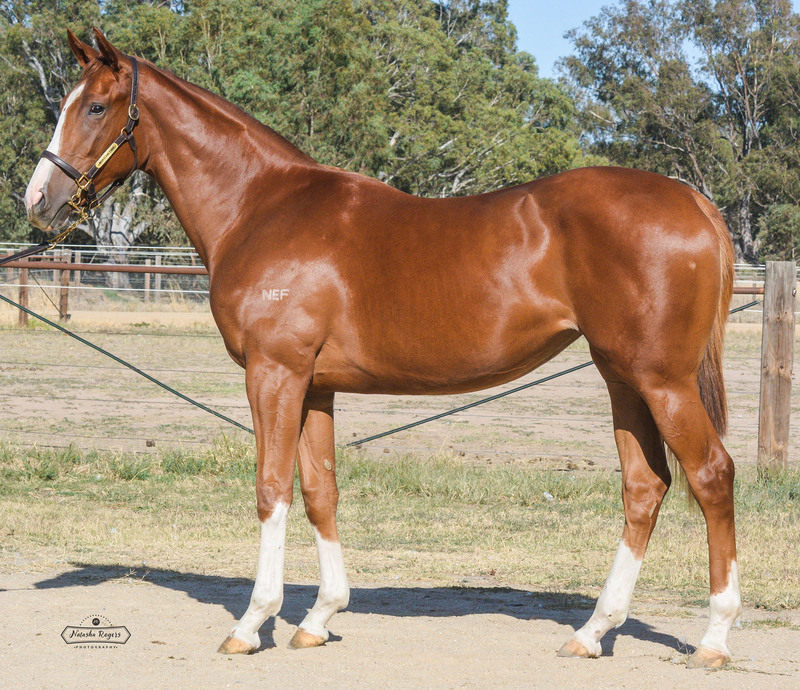 Big, strong filly with scope by promising young sire Toronado. Her dam Rock of Ages won 3 races in a row and beat some high class horses at her final start at Caulfield. 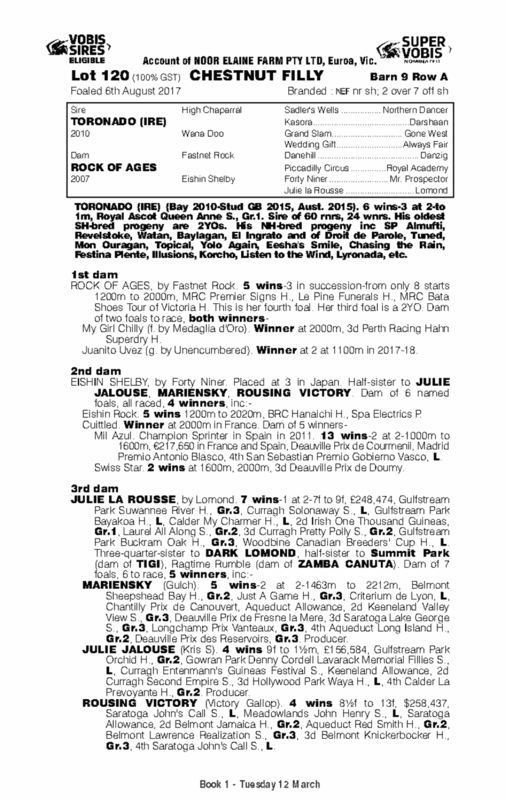 Rock of Ages has a perfect produce record with both her foals to race being winners. Bred on the highly successful High Chaparral Danehill cross.